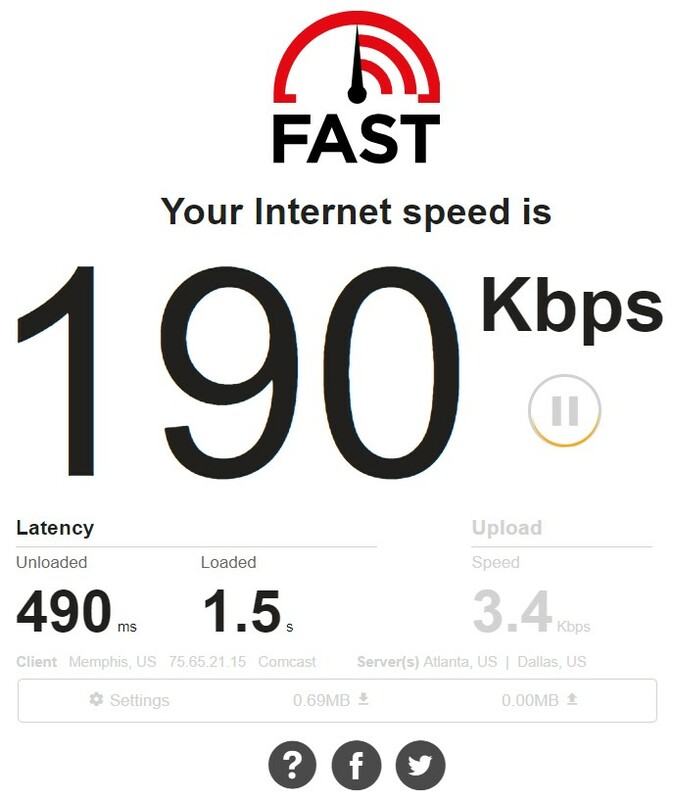 Why is my ‘net Speed in the Crapper? With later testing, the speed improved to single-digit Mbps, but latency still turns up in the mid-hundreds of milliseconds across repeated tests. And no, there are no downloads going on right now to slow things. I checked.